At Wild Side Outdoors, we enjoy just being "outside". Whether it be Fitness or Adventure, the dynamic nature of outdoor environments provides a stimulating experience that refreshes the spirit! In the Riverland we have some of the best wetlands, creeks and backwaters you’ll find anywhere along the Murray River. Waterways cover 100s of kilometers, several national parks and reserves, and many places only accessible by canoe. Come and have fun paddling on the great Murray River near Renmark. You can hire kayaks and canoes or join one of our award winning guided tours that meander through unique backwaters and creeks. 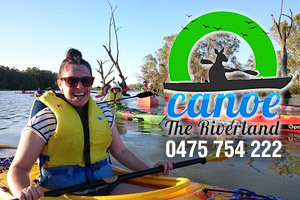 Murray River Canoe Hire has been conducting canoe hire and tours for over 20 years – we will take you anywhere you want to go! Although we’re based in Albury we cover a large part of the region so please contact us for hire or tours. 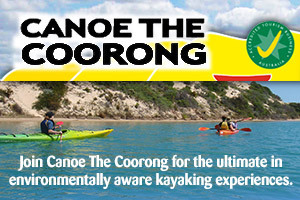 Join Canoe The Coorong out of Goolwa for the ultimate in environmentally aware kayaking experiences in the spectacular Coorong National Park. Here are some of the best trails and locations for Canoeing and Kayaking along the Murray River. 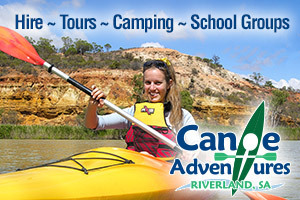 Find places along the Murray River to hire canoe and kayak equipment.